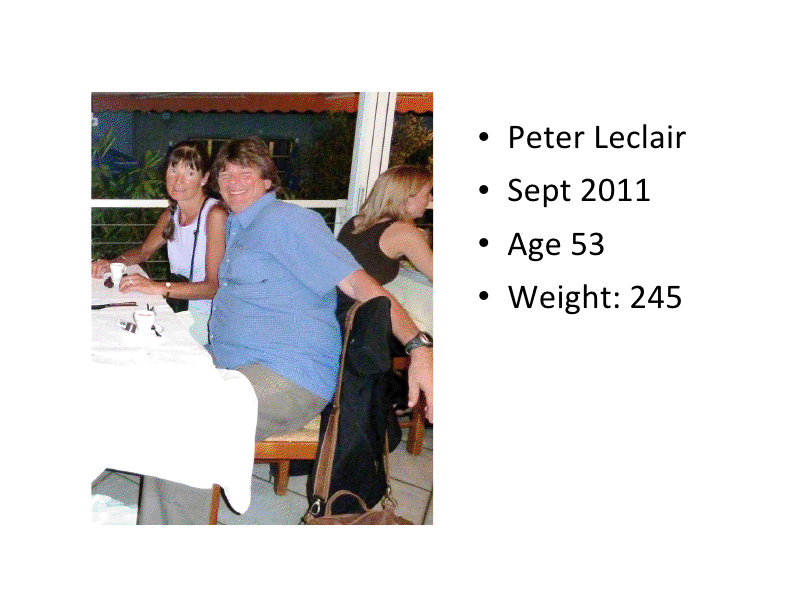 Dear readers, you might remember my Canadian ‘teammate’ for this year’s Etape Act Two, Peter. If you don’t, I’m sure you have a good reason, so here are two articles to brush up on before diving into this one. I hope you enjoy this guest blog as much as I did. Especially the awesome action shots at the end! Well folks, I am back to give you an update on my progress since I last visited the blog courtesy of Gerry. If you recall I was on a quest since my ride with Gerry last summer. I was much bigger but a fairly active cylist who loved the sport. After that ride I decided that I needed to move it up a notch and get out of that comfort zone where I was riding and struggling but still coming back for more challenges. I now look at those past challenges as mere stepping stones to something bigger for me but I didn’t know what. After the ride with Gerry last summer it awakened me to the possibilities of what I can do. 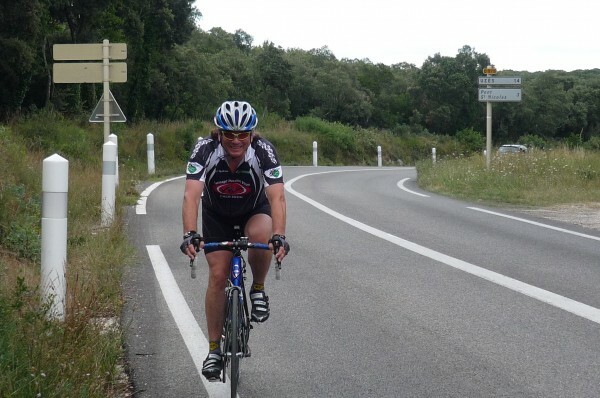 Gerry had offered for me to do Ventoux with him next summer, then came his blog about signing up for the Etape du Tour. That had more appeal to me. I recall mentioning to Gerry at that time that it was harder for me to sign up then to actually do what I committed to do. Well Gerry, I take that back! After signing up for the Etape I decided that I needed to get on a proper program, so I engaged Coach Rob which was an obvious choice since he is relatively local as a fellow Canuck and the fact he prepared Gerry so well last year. The first thing Coach wanted me to do was list my food intake for the next few weeks to determine what I was eating and what changes I needed to make. At the time that I was listing my food intake, I had to advise my weight which probably stood at 225lbs (102 kgs) last July. Coach announces to me that we will get me down to 170lbs in time for summer riding! I thought he was nuts to be quite honest, especially since I hadn’t weighed that since I was in high school. Next came the training program on the bike. Most of this started in November with the more intense part starting in January with each 4 week session after that getting harder and harder. As Gerry had mentioned we became caged animals and couldn’t wait to get to the outdoor season. Winter is long in Canada. I found that having Coach, and especially my beautiful Partner Ginette, pushing me all the way was so important and I couldn’t have done it without them. I have to tell you that there were many days where it was hard to get out of bed to think about the two hours of training I had to do on the bike each and every day except for Monday. Gosh, I loved those Monday’s! Well here we are, I’m almost in the last week of my intensified training where I’ve been pushing the envelope with back to back 150 k rides, numerous 100’s and a bunch of hill repeats which I loath the most. Heck, we can’t like everything. I am happy to report that after 175 training sessions, 270 hours of training, 200,000 calories, and 7000Kms I am officially – according to my bathroom scale – down to 170 lbs (77kgs). I believe I can get down to 165 lbs (75 kgs) before Act Two of the Etape du Tour in the Pyrenees on July 14th. Thanks Coach, Gerry and Ginette for all your support throughout this journey which is the beginning of a new life and a healthy lifestyle. As Coach says, “There is no Finish Line”. Yes, really. This is the same guy. Winners make goals and achieve them, losers make excuses and complain. Peter – you are an inspiration to anyone that ever said it can’t be done. Thanks Coach. Can’t say I had a great time doing it but I sure enjoyed the journey and the results and I’m truly enjoying my roadwork these days. Thanks again for your guidance. Great story, and great post! Best of luck to you in the Etape…. but even more, best of speed, endurance and strategy! And, have a bit of fun. Have a fun on the E’tape, well deserved! Steve, I think you’re getting me mixed up with John here! Awesome job Peter!!! …and a tip of the hat to Coach Rob! Good luck on the Etape, ride fast ride hard!